Getting $5 OFF to take AOMEI Partition Assistant Professional home. 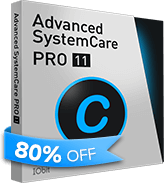 Here we provide the most favorable price to get PA Pro and Advanced SystemCare 11 PRO. If your operating system is Windows Server 2003, Windows Server 2008 (R2), Windows Server 2012 (R2), Windows Server 2016, Windows Server 2019, Windows SBS 2003, 2008, 2011, or Windows Home Server 2011, please buy AOMEI Partition Assistant Server. All-in-one partition software & hard disk manager for 2 PCs. Complete and easy-to-use backup & restore software for 2 PCs. Supports lifetime free upgrades to every latest version. Powerful and seemingly magical hard disk partition management tool for server-based business environments. Stable and robust data protection & disaster recovery solution for a single server. Supports lifetime free upgrades to every latest version.